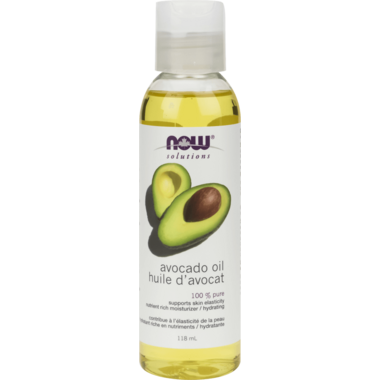 NOW Solutions Avocado Oil is an all-natural, expeller-pressed vegetable oil. Heavier in texture, it contains collagen-supporting nutrients to help promote epidermal elasticity and soften dry or cracked skin. When used as a massage oil, it's soft, soothing and leaves no greasy residue. Directions: Pure Avocado Oil can be used as a scalp or skin conditioner, or as an emollient. Also makes a soothing massage oil.